You can go home again but you have to do some hard traveling first. The Chris Robinson Brotherhood prove it on their debut recording, two live tracks steeped in influence and respectful of the past, yet with a finger pointed straight towards its wide open future. 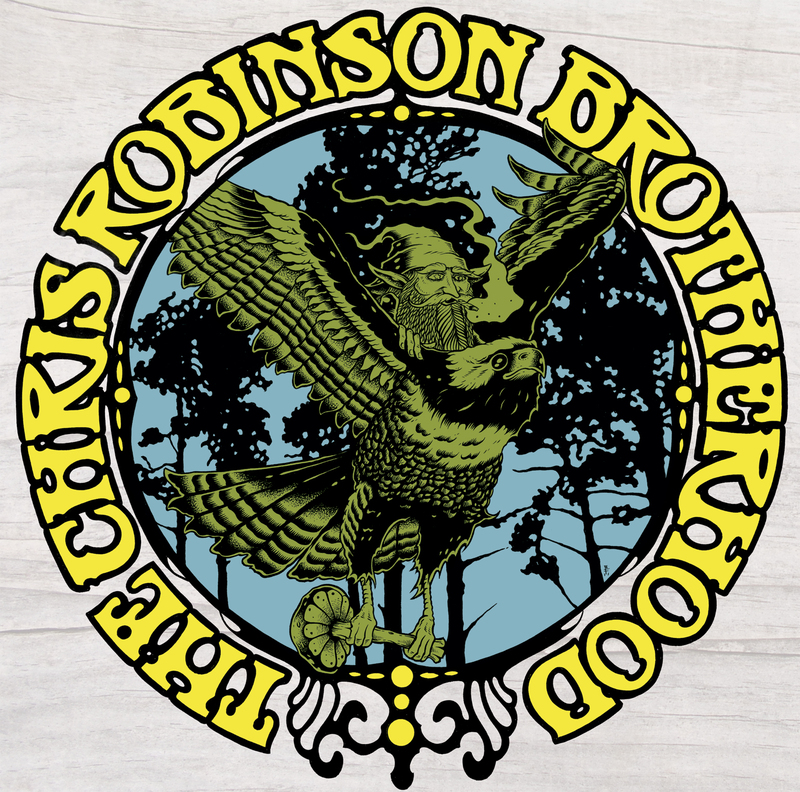 This is the first release from The Chris Robinson Brotherhood, Chris Robinson's new band that has traveled all of 2011 crafting its unmistakable cosmic soul, boogie, and heady medicine on the open roads of America. It all started with a west coast tour last spring and is finiishing the year with a four night run at the historic Great American Music Hall on December 12,13,14, & 15 which will also serve as a record release for this very collectable 10" inch single. “Vibration & Light Suite” brings to mind the 70's of the south, layered and handcrafted with chunky keyboards, syrupy guitar solos and inspired vocal harmonies. "Last Place that Love Lives" is as sad as a weeping willow, drenched in soul and anchored by the ache in Robinson’s voice, weathered and husky and his alone. The Chris Robinson Brotherhood train has left the station and its loving travelers are jumping on board at all stops across the old weird and new freaky America. Drop the needle on this new Spiritual Pajamas limited edition 10” single and hear the sound of one of the best new live bands in the land spreading its gloriously glad tidings just for you.